Lemax Assorted Pine Trees Set of 21 scenic accessories suited for depicting a forest of multi height multi shape snow tipped Winter Pine trees, adding authenticity to a snowed village scene. Suitable for placement by hand or glue in and amongst a Lemax Christmas miniatures scene to create a small pine forest setting. A great value Lemax Village miniature accessory set which has been part of the Lemax collection since 2003. 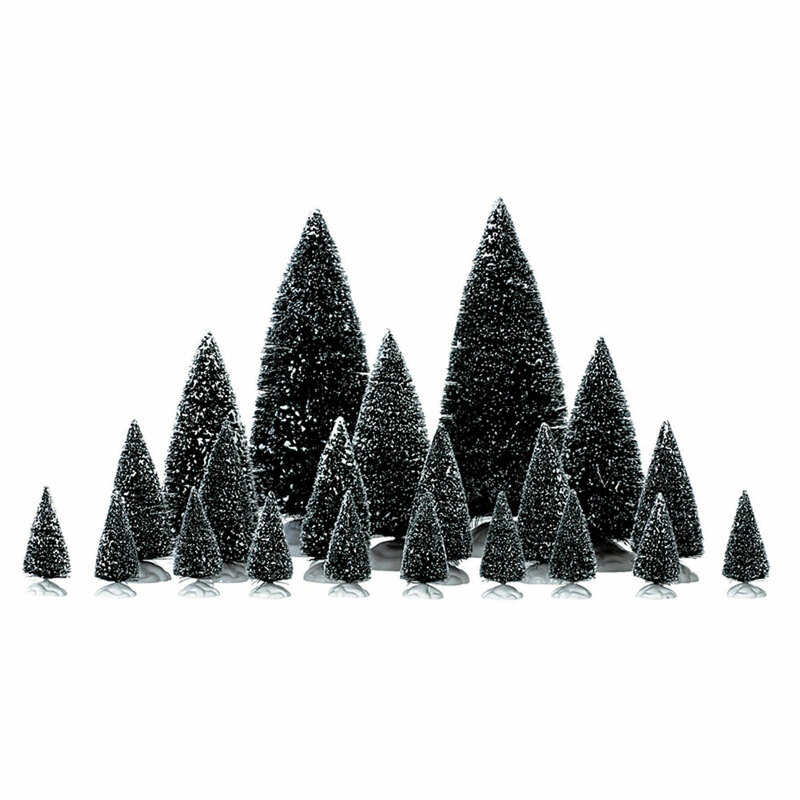 Assorted Pine Tree Set comprises 21 individual multi sized snow drizzled trees, on self standing snowed bases to compliment your seasonal Lemax Village display.